SINGAPORE, 21 November 2013 – Passenger traffic at Singapore Changi Airport grew 3.2% on-year in October 2013, with 4.41 million passengers passing through the airport. Aircraft landings and takeoffs rose by 6.7% to 29,500. In terms of airfreight movements, Changi Airport handled 157,400 tonnes of cargo, an increase of 1.8% compared to a year ago. Passenger traffic to Northeast Asia, Southeast Asia and the Middle East grew in the 10 months ending October 2013. 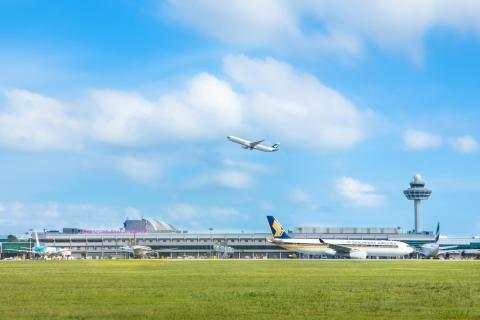 Among Changi Airport’s top ten country markets, Indonesia, Japan and Malaysia registered double-digit traffic growth for the month. On a rolling year basis, passenger and aircraft movements grew to 53.4 million (+6.2% on-year) and 339,900 (+5.6%) respectively. Airfreight movements were stable at 1.85 million tonnes for the 12-month period. As at 1 November 2013, more than 100 airlines operate at Changi Airport, connecting Singapore to 270 cities in some 60 countries and territories worldwide. With more than 6,800 weekly scheduled flights, an aircraft takes off or lands at Changi roughly once every 90 seconds. New Services – Tigerair is launching three new services in November to Chiang Mai and Langkawi (both 4x weekly), as well as a thrice-weekly service to Lombok. Thai AirAsia is commencing a daily service to Krabi whilst SilkAir will expand its connectivity to Indonesia with a thrice-weekly service to Yogyakarta. Scoot launched a new service to Hong Kong (5x weekly), the 11th destination on its network. 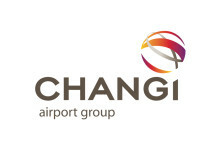 Singapore Changi Airport handled 4.12 million passenger movements in February 2013, an increase of 9.2% over the same month last year. Aircraft movements for the month grew by 4.2% to 25,900 flights. Travel demand was boosted by the Lunar New Year holidays which this year fell in February compared to January last year.